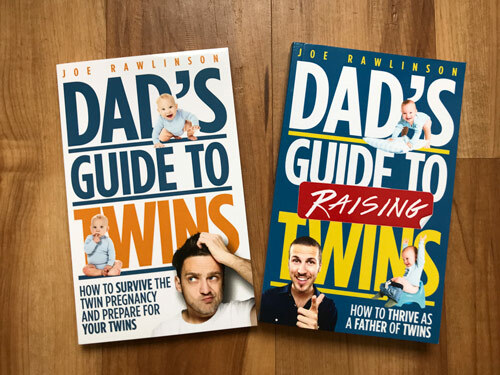 Today we’re talking about how to balance your life with twins, particularly how do you do anything besides childcare when you’ve got very young twins. Twins can be all-consuming and overwhelming, especially in those first several months when you’re trying to figure out logistics, childcare, keeping them alive, maintaining your own sanity, and hopefully getting some sleep yourself. 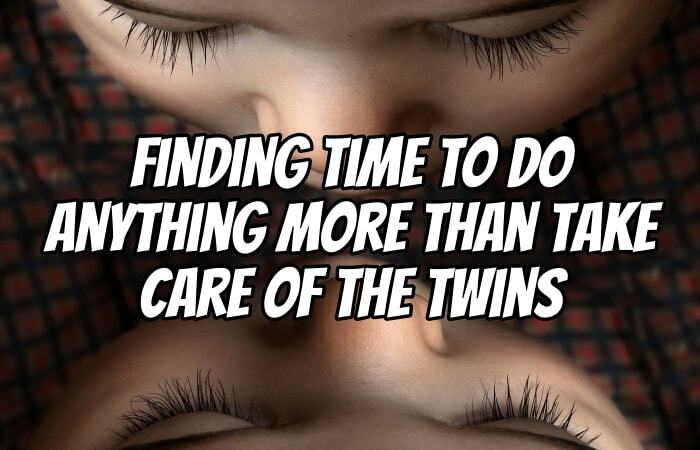 How do you find time to do anything other than childcare with your twins? I want you to remember that there is a light at the end of the tunnel. And that light is called self-sufficiency. Eventually, your twins will be self-sufficient and will be able to do all the things that you have to do for them today. That includes things like getting them down to sleep, feeding them, burping them, and going to the bathroom. All of these things that take so much of your time right now will eventually phase out. Your twins will learn how to do those things by themselves and it will be a great and glorious day! Between now and that light at the end of the tunnel, just keep in mind that you can take each day one at a time. How do you do anything besides child care for your twins? One thing that worked great for us (and that I’ve heard from many other twin parents) is that of aligning and syncing up the schedules of your twins. Your twins are going to be in a predictable routine: they are feeding and then they’re going to have some kind of activity time. And then it’s time for nap time or bed. And then they wake up and they do it again. 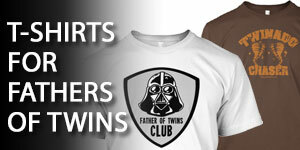 The time it takes to go through that cycle varies based on the age of twins. When they’re newborns, it can be feeding every couple of hours. Eventually, those feeding times stretch out farther and farther and you have a little more free time to do other things with them. If you sync up those schedules where they’re both feeding at the same time, or they’re both sleeping at the same time, it makes everything else go a lot more smoothly. 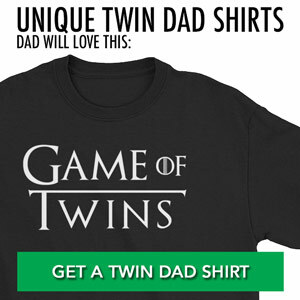 When your schedules are haphazard, for example, if one twin is staggered off of the other twin and they’re not sleeping at the same time and they’re not eating at the same time, try syncing up those schedules. At least start feeding them at the same time. That’ll help sync up everything else that follows. If you’re at home by yourself with your twins, It may feel like all you’re doing is taking care of the twins and you can’t do anything else. That is a real feeling. When you’re feeling this way, I want you to look for opportunities to get a helper. A helper can come in many different formats. It could be a spouse, friend, neighbor, babysitter, or your mother in law. 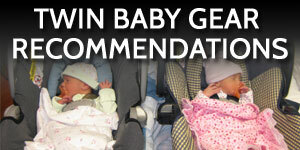 A helper could be baby gear that makes your life easier. It could be a rock-n-play, a bouncy seat, or a play mat on the floor with some toys to distract one of your twins while you take care of the other. One of the things that a helper can do, of course, is actually take care of the logistics that you can’t do because you’re taking care of the other twin. But the other great thing about helpers is that they can be a distraction for one of your twins while you tend to the other. Look how you can be creative with getting a helper in your home with your twins. Even if that is a piece of baby gear and not necessarily a person (especially if you’re far from family or you don’t have friends that can come over and help). You can do this with the help of some synced-up schedules and gear that’s helping you or a friend that’s helping you. Even if you can convince somebody to come over and help you for like an hour, it can make a huge difference. When your spouse comes home, at the end of the day, you have to tag team and take care of the twins together. It’s all hands on deck. When you’re taking care of twins, it is exhausting for one parent to do everything by themselves. 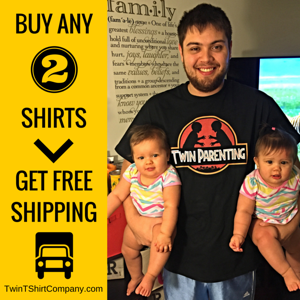 If one parent is caring for the twins all day, they need a break at night. They at least need someone to help relieve that pressure by taking care of the twins in the evening. This is particularly true during the overnight hours. You need to work out with your partner how you’re going to wake up during the night. Who’s going to feed the babies? Who’s going to change the babies? Are you both getting up together at the same time to take care of them? A part of the struggle of thinking that all you have time to do is childcare with twins is that you have other expectations on your shoulders. These expectations may be what your house should look like. What’s for dinner? Maybe you’ve got some work commitments or family obligations or other children in school that need help with homework. The reason that you feel bogged down with taking care of the twins is that logistically they need your attention, particularly in those early months. But you have to let it go. That means things that you used to do before the twins arrived. Maybe you need to set them aside. This could be a particular hobby, responsibility, or the expectation of the cleanliness of your house. That stuff needs to be set aside because you’re focusing on what’s really important right now: taking care of those babies, keeping them healthy, and helping them to grow. As they become more and more self-sufficient, you can start to add back in those things you used to do before twins. You can add back in the hobbies or the outings or the clean family room. Those things can come back later. I want you to re-evaluate some of your priorities and some of the expectations that you have and let some stuff go. That’ll definitely relieve the pressure that you’re feeling to be doing more than is realistic. While you’re spending what seems like all of your time taking care of the twins, make sure that you’re enjoying those tiny moments with them. Enjoy the eye contact that you get when you’re feeding them. Enjoy the cuddles when they’re near you. Enjoy the little baby toes and little baby fingers. Because they’re going to grow so quick that when you look back at the first year, which will be a total blur, you realize, Wow, I can’t believe it. It was so hard. But it went so fast in retrospect. When you’re in the middle of it, when you’re in the trenches, it seems like each day drags on. You’re sleep deprived. You’re worn out and exhausted. But those tiny moments of joy like the little twinkle in your baby’s eyes, their smiles, the little giggles, make it all worth it. Yes, even the stuff that in the moment seems like you cannot take any more of it: blown out diapers, spit up all down the back of your shirt, or the two screaming babies that won’t calm down. Those make the best memories and oftentimes the best stories. So plow through these challenges and focus on the good, happy things that are happening because you’re going to get lots of those little tiny moments as you spend time with your twins. Your challenges are going to change over time. But remember to keep an eye on the light at the end of the tunnel, which is self-sufficiency. Your twins are going to grow through phases and before you know it, they’re going to be walking around by themselves, helping to make dinner, taking their own showers, and getting themselves dressed and off to school. 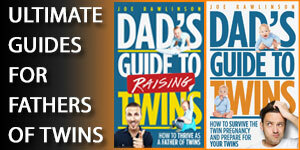 If you looking for more practical tips and tricks on how to handle those first couple years of raising your twins, check out my books, Dad’s Guide to Raising Twins: How to Thrive as a Father of Twins.